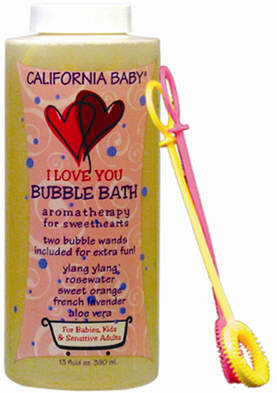 There’s a bit of a kerfuffle about California Baby, a longtime champion of “natural” baby products, adding the preservative sodium benzoate to some of their shampoos and bubble baths. According to California Baby, sodium benzoate is actually certified for use in organic products. And in fact it’s approved for use in foods and beverages, never mind shampoo and bubble bath. Now, some people are saying that it’s a carcinogen, but I’ve seen no evidence of that at all. Others have mentioned that sodium benzoate can produce benzene when combined with ascorbic acid, especially when heated. At first I thought that might be hysteria too, but it is actually true. Wikipedia has a good rundown of sodium benzoate, benzene, and the old standby, “solely the dose makes the poison” in their article on sodium benzoate in soft drinks. Basically, sodium benzoate can produce small amounts of benzene when it’s combined with ascorbic acid. The effect is greater when the combination is exposed to heat. But regardless, the vast majority of soft drinks that form benzene develop only tiny amounts that are probably not a health risk, and pale in comparison to the amount you inhale while you’re filling your car with gas or walking along a busy road. So that’s the story on benzene in drinks. In this case, people are concerned that sodium benzoate might be forming benzene in shampoos and bubble baths. So right off the bat, the risk is much lower because babies won’t be swigging the bottle of bubble bath (well, not in most cases). Even if California Baby’s products contained ascorbic acid (as far as I can tell they don’t), and might therefore contain traces of benzene, it would be in a product that’s briefly in contact with skin, then rinsed away. But let me reiterate: California Baby’s products don’t appear to include ascorbic acid, so there’s no possibility of the chemical reaction that would convert sodium benzoate to benzene. Now, some parents are reporting skin irritation with the new formulas, and that is more plausible. According to this European Union report, sodium benzoate might cause mild skin irritation in some people. However, if irritation is a concern, consumers should avoid California Baby products with lavender oil, which is a well known irritant, before worrying about sodium benzoate. Luckily California Baby does offer fragrance free formulations without essential oils, which can be a rare find in a cosmetics industry that loves to market fragrant (but potentially irritating) products. The bottom line is that California Baby shampoos and bubble baths are generally safe. It is possible that a few children could develop skin irritation when exposed to sodium benzoate. Of course, kids with sensitive skin probably shouldn’t be soaking in bubble baths anyway, so the only issue is the shampoo. For any parents who are seeing this problem, or noticing irritation with other CB products (which don’t have sodium benzoate), my advice is to first check for any essential oils in the ingredient list. Since California Baby has tweaked a lot of their stuff, it may be that your favorite formulation suddenly has more lavender oil or clary sage oil (which can sometimes cause skin sensitization). Even calendula, which is typically used as a soothing ingredient, can cause sensitization and allergic reaction, and CB did just reformulate their calendula, so that could be the culprit. Unfortunately, I’m having trouble finding any shampoos that are free of both sodium benzoate and essential oils, so if you have a child with very sensitive skin that reacts to sodium benzoate, it appears your choices are very limited. To recap: No benzene. Probably safe for the vast majority of babies, and the essential oils are at least as problematic as the sodium benzoate. And one tangential musing: it’s ironic that crunchy parents are worried about exposing their kids to benzene. Sure it’s a carcinogen, but it’s completely natural, and more than that, it’s organic!